Stemcis is particularly interested in finding a new treatment for osteoarthritis. 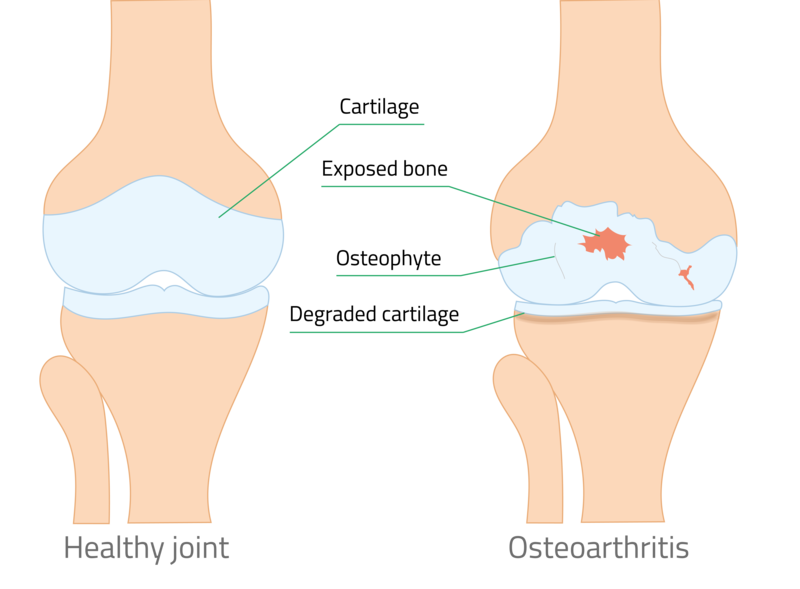 Osteoarthritis (OA) is a chronic, progressive, inflammatory joint disease, which involves the different tissues that form the joint: cartilage, bone, synovial fluid and membrane. It results in a degradation of the cartilage matrix, an inflammation of synovial fluid and a remodelling of the subchondral bone. OA is one of the major causes of morbidity, disability, and health spending resources, especially for elderly people. Its affects millions of people worldwide. Furthermore, its mains risk factors being age and overweight (a fortiori obesity), its prevalence and incidence are constantly growing. Its main signs include substantial pain, joint stiffness, swelling and tenderness, which are accompanied by functional limitations and deterioration of quality of life. OA can affect all the articulations of the human body but its main locations are the knees, the hips, the spinal column and the hands. The same patient can suffer from OA at several locations, knee OA and thumb OA, for instance, frequently associated. Knee OA represents about 30 % of the symptomatic OA cases, all localisations combined. The affliction can be femorotibial (between the femur and the tibia) and or femoropatellar (between the femur and the patella). 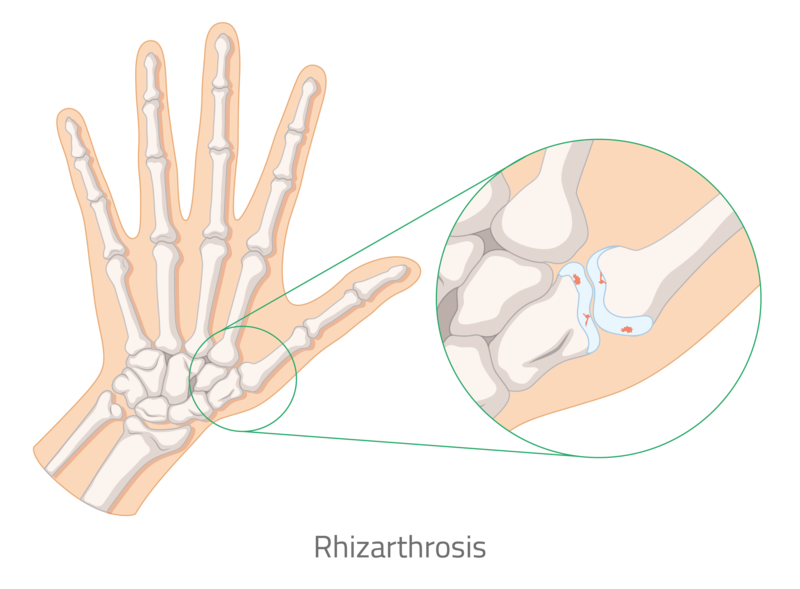 Thumb OA generally affects the trapeziometacarpal joint, i.e. the base of the thumb. It is the most frequent localisation of osteoarthritis: after 55 years old, about two thirds of the women, and one in two men present signs of OA on radiographic images. OA treatments are first non-pharmacologic (weight loss, physical activity, orthetic devices) and then, pharmacologic (analgesics, anti-inflammatories, slow-acting anti-arthritic drugs). However, they are only symptomatic and thus do not stop OA progression. Therefore, surgical treatments (resection arthroplasty, joint replacement with prosthesis) are finally frequently required. In this context, innovative approaches that aim to delay, or even avoid, these surgeries are currently under investigation. Stemcis is conducting clinical trials to explore the potential of adipose tissue to treat these musculoskeletal conditions.